Latest Crisis: "The Alt-Right Is Taking Over Renaissance Fairs"
White supremacists and neo-Nazis are infiltrating the LARPing community and the professional sword-fighting realm to push an imagined narrative of an all-white Middle Ages utopia. … But that Europe didn’t exist outside novels, medievalist Dorothy Kim told The Daily Beast. “This medieval ‘white utopia’ is entirely false. In fact, the medieval past was multiracial, multifaith, and multicultural,” Kim, an associate professor of English at Brandeis University said, pointing to Indian and African immigration pre-1500, and to recent genetic testing that suggests the earliest known British skeleton had dark skin. Who knew 7000 BC was the Middle Ages? “It’s rather difficult to find a ‘pure white’ utopia anytime in the pre-modern, let alone ancient historical records,” she said. Medieval Studies is the critical study of Europe’s self-identity. No understanding of the West is possible without it. Left-wing academics want to introduce the field to gender studies and race theory. When one Chicago professor publicly celebrated the Christian identity of the Middle Ages, she was branded a ‘violent fascist’ and ‘white supremacist’ — by other medievalists. Now Medieval Studies scholars are tearing their own discipline apart with witch-hunts, name-calling, boycotts and intimidation. The damage done to academia could be incalculable. Woke classicist Donna Zuckerberg makes several appearances in Milo’s article. 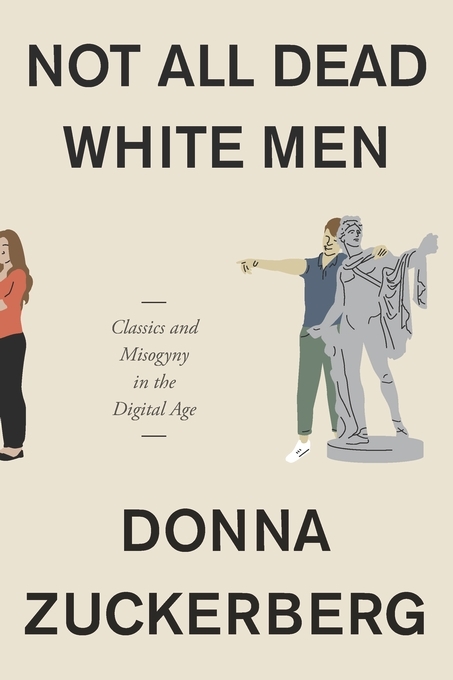 Harvard University Press will be publishing Ms. Zuckerberg’s book Not All Dead White Men: Classics and Misogyny in the Digital Age in October. I look forward to a review by her brother Mark, an amateur Classics enthusiast. By definition, being a Zuckerberg means you are Punching Up.